Here’s one to add to your Canadian bucket list. It’s a unique experience at a very special time of day. It might be difficult to wake up this early, but trust me: it’s worth it. 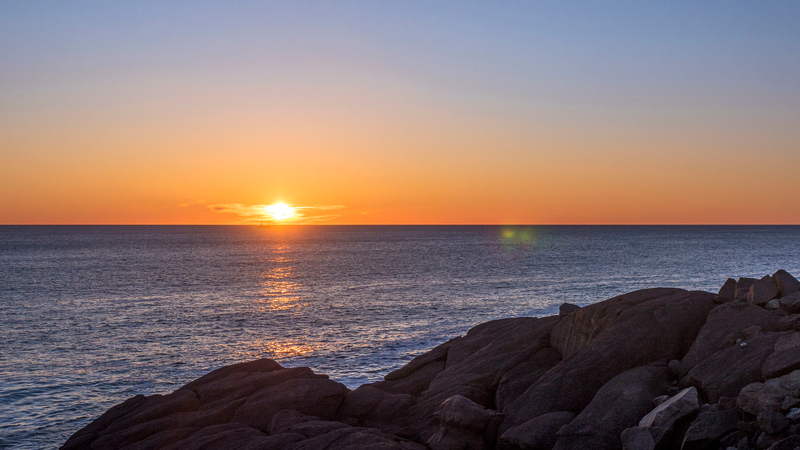 Cape Spear near St. John’s, Newfoundland is an essential trek for explorers and wanderers in Canada. 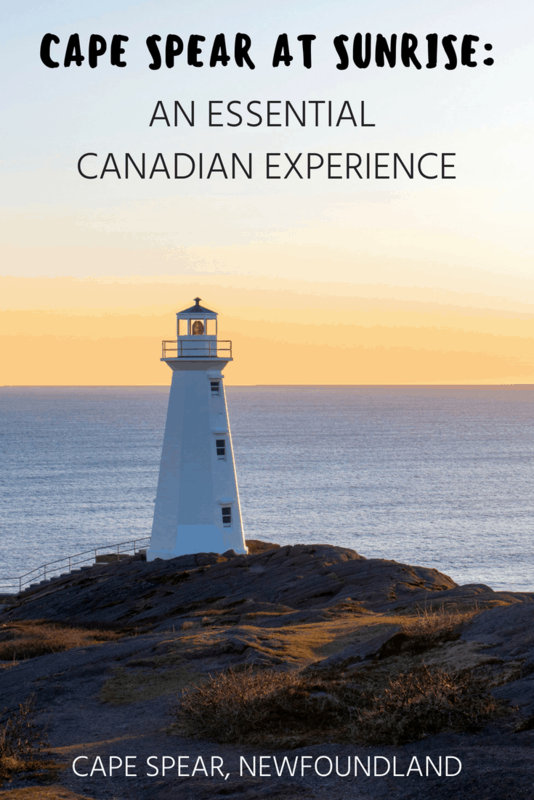 If you’re making a journey to Atlantic Canada and the easternmost province of Newfoundland and Labrador, Cape Spear is an incredible landscape to savour on your holidays in Canada. 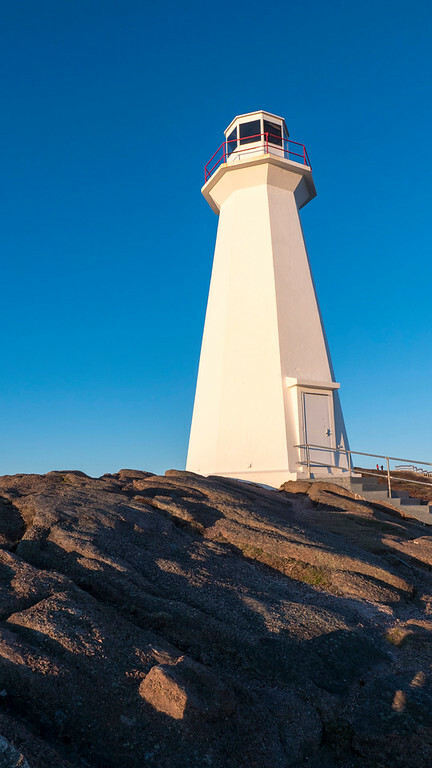 Visiting Cape Spear is the perfect way to start your day, perhaps on your first full day in St. John’s. 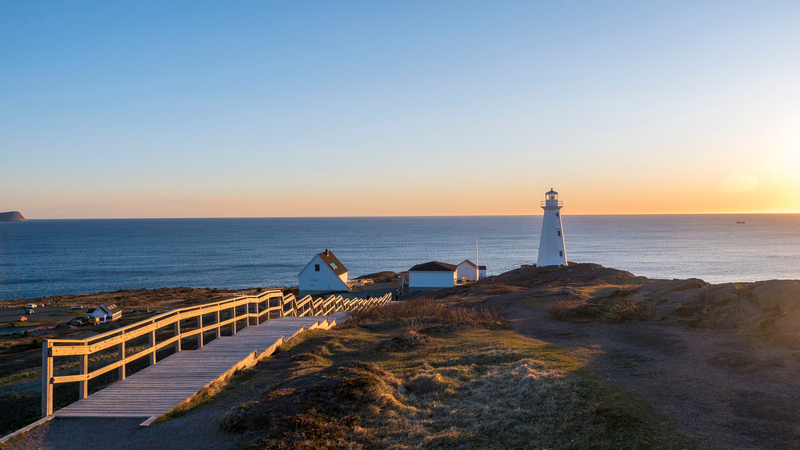 By following this Newfoundland weekend itinerary, you’ll begin by driving from St. John’s to Cape Spear, which takes approximately 20 minutes. Look up the time of the sunrise in advance to make sure you don’t miss it. In May, the sunrise happened at around 5:15am, which made for a very early morning. 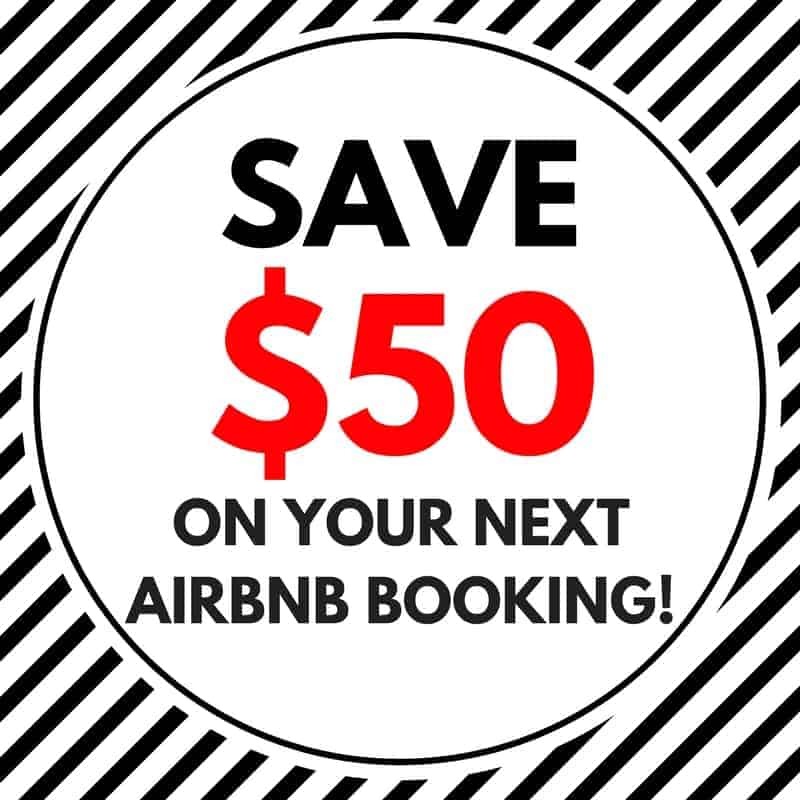 Pack some warm clothes and pick up a coffee along the way to make the trip even more enjoyable. What’s your most memorable sunrise experience in the world? 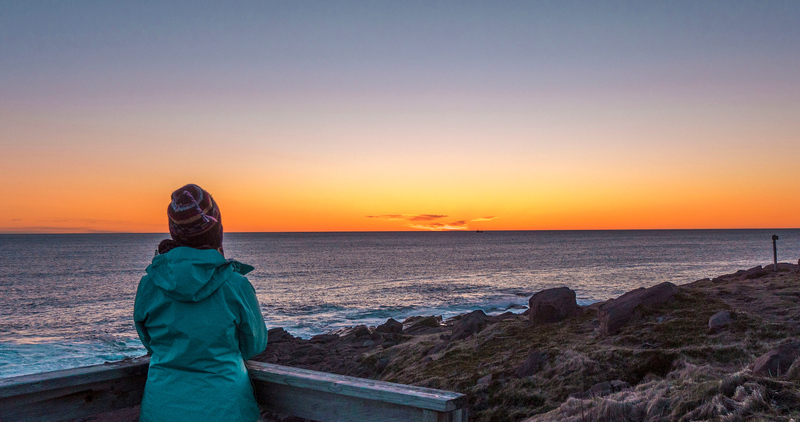 There’s one profound reason why watching the sunrise at Cape Spear is so special. 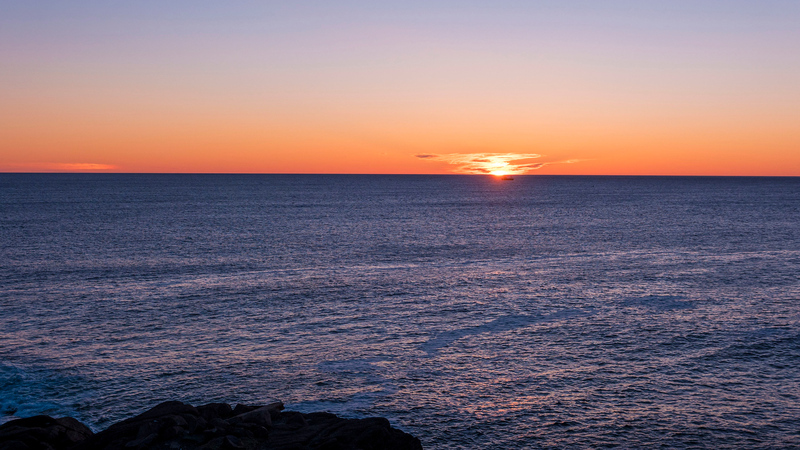 Located on the Avalon Peninsula, it’s the easternmost point of North America and it’s the first place you can watch the sunrise on the continent. When you stand on the cliffs of the most easterly spot in Canada, you feel like you’re at the edge of the world. 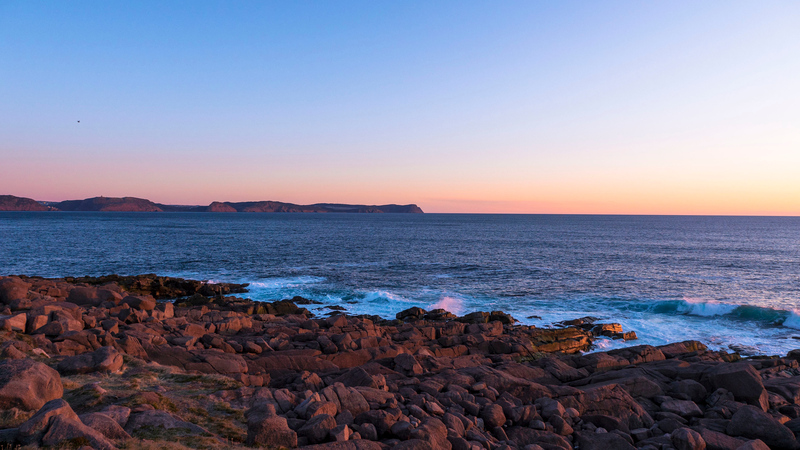 Early in the morning, Cape Spear is a very peaceful and serene locale. I’m positive that it’s calm and quiet throughout the day, but there’s something even more magical about those moments at the crack of dawn. Listen to the crashing waves. Watch the sky grow flushed with muted hues of cotton candy pink and lavender. If you’re lucky, you might see a whale or an iceberg drift by. The landscape comes alive as the sun makes its first appearance as a shimmering orange burst on the horizon. 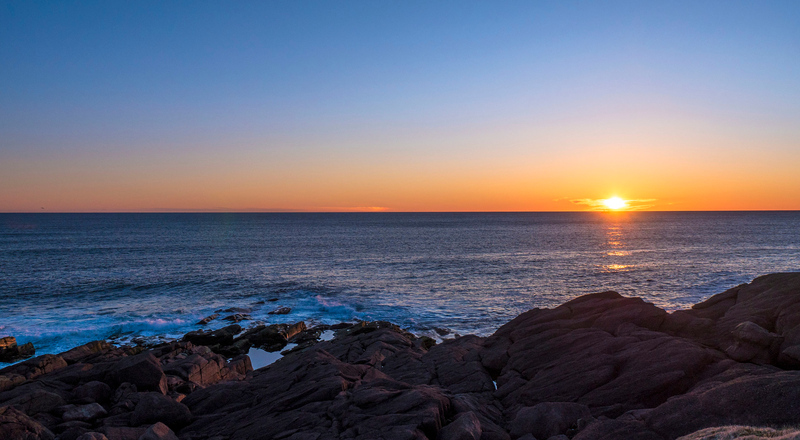 You could quite possibly witness the most memorable sunrise of your life at Cape Spear. However, it’s also a valuable place for those who love history and lighthouses. 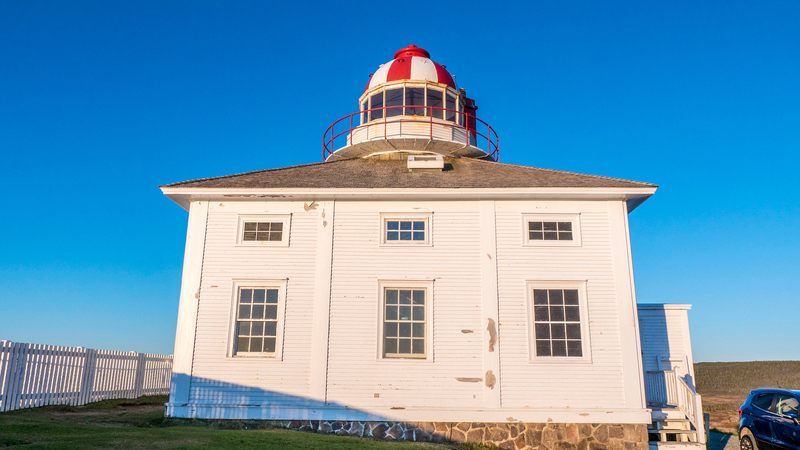 Cape Spear is a National Historic Site of Canada for its lighthouse, the oldest in the province. This lighthouse, built in 1836, is a square building with a tower in the middle that contains a light. 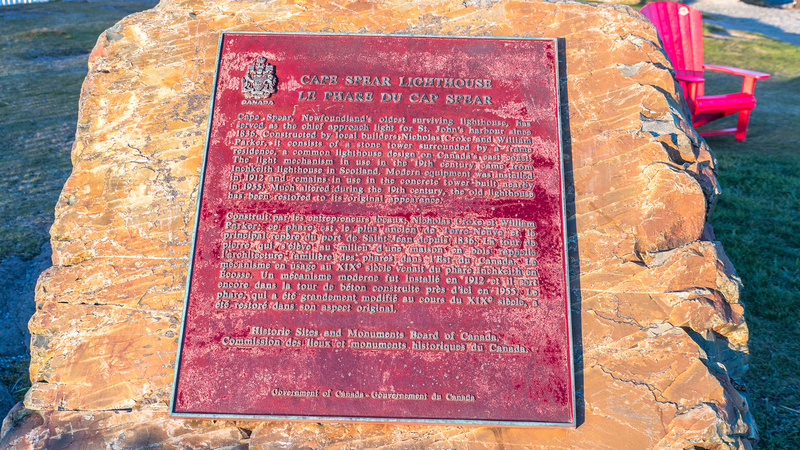 The lighthouse is restored to its appearance in 1839. You can step back in time to experience a centuries-old structure and how it operated back in the day. On your visit, learn more about the dozens of light keepers throughout several generations, all of whom were men from the Cantwell Family spanning over 150 years. Closer to the ocean, a modern lighthouse tower was built in 1955. It repurposes the light from the original lighthouse. 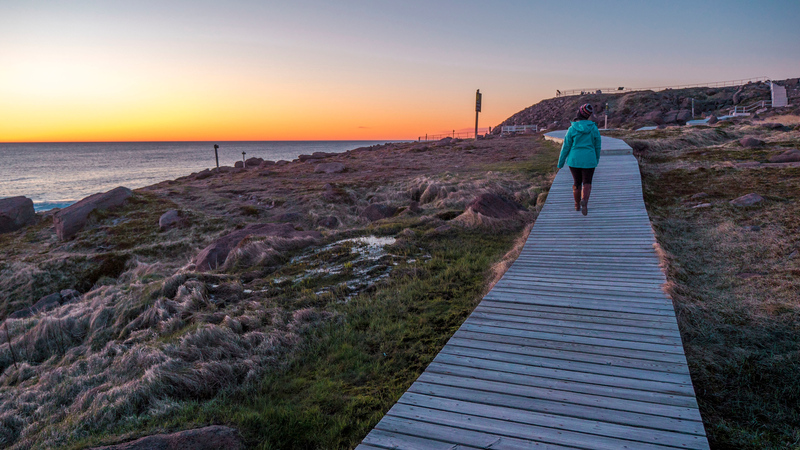 After you’ve watched the sunrise and fully explored Cape Spear, why not use this area as a starting point for a hike? 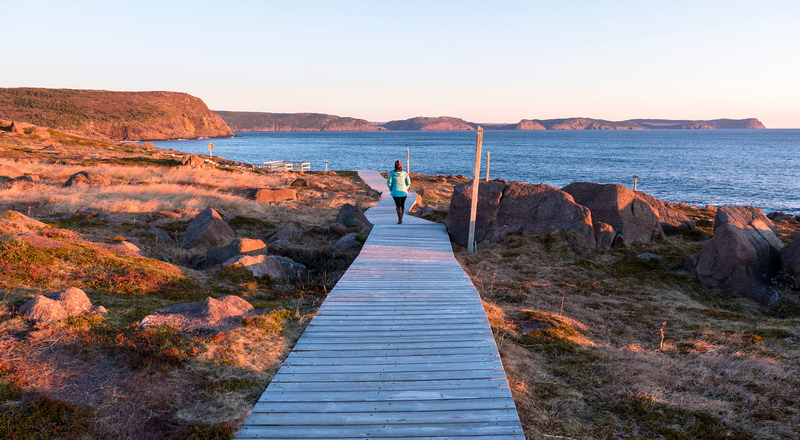 Cape Spear is the trail head for two portions of the East Coast Trail. This footpath contains over 300km of trails that wind through over 30 communities. 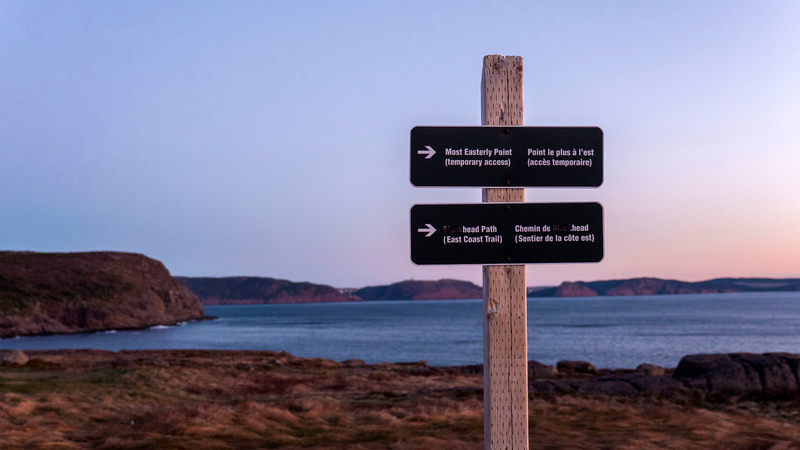 Start at the eastern most point of Canada and see where the trails take you! 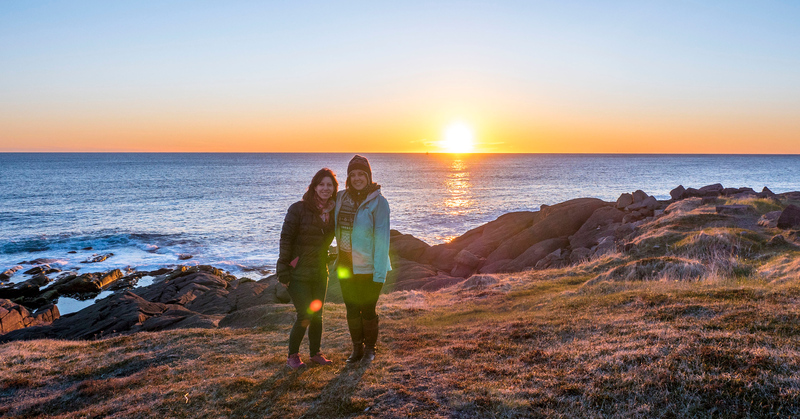 Just as you can watch the sunrise before anyone else in the country, you are also the first to see the sunset at Cape Spear! However, due to the position of the land, the sunrise is far more spectacular right over the water. It’s worth the early wake up call. 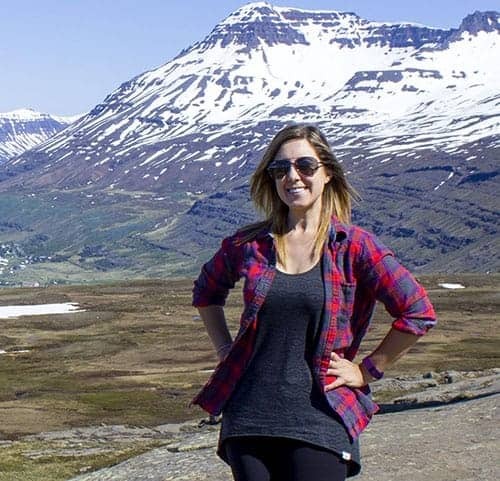 This is a bucket list item that you’ll remember for the rest of your life. 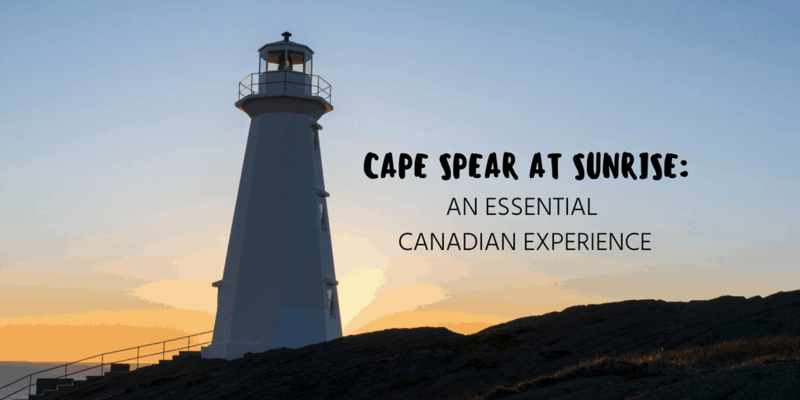 Would you like to see more photos from Cape Spear and the Avalon Peninsula? Check out my travel photo album!